Fazenda da Água Limpa has belonged to the family of the current owner, Mr. José Clênio Pereira, since 1920. At that time coffee crops already existed there. Mr. José Clênio Pereira, who has been passionate about the said crop since an early age, continues the work of his ancestors. Being innovative by nature, he watched a TV program in which Mr. Luis Hafers, then president of the Brazilian Rural Association, preached insistently about the exploitation of specialty coffee. Thus, José Clênio had no doubt about equipping and modernizing his machines and exploiting this large piece of the market, even being criticized for the audacity of trying to create specialty coffee in a region where soft and much less strictly soft were unheard of. Accordingly, he was the first in the region to produce a high-quality coffee, achieving success in his first participation in a BSCA contest, finishing in second place, with a 95-point coffee, and also in Illy, achieving 4th place, as well as in others, always placing among the finalists. Furthermore, he finished first in a contest at his cooperative. Now he has the satisfaction of seeing the region’s producers stand out in all the contests they participate in. Today, at 72 years of age, still with great enthusiasm, he has a well-trained team that shares financially in the success of the quality produced, in the latest harvest he achieved in all of the lots a drink above 83 points, even for green coffee. 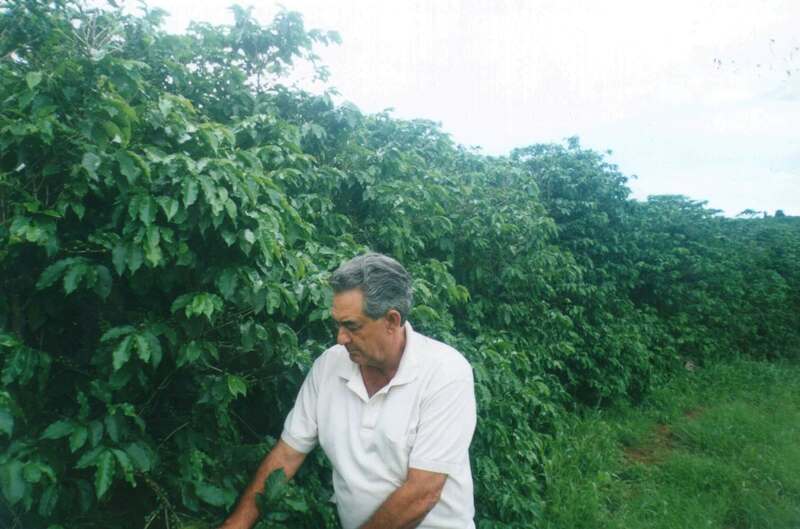 Mr. José Clênio Pereira attributes this success not only to the special care taken, but also to a system of managing his crops that leads to increased natural resistance of his coffee, in which the use of pesticides is extremely restricted. Thus, José Clênio intends to pass on to his successors that which he received and improved. Bean by bean drying on the first day. Later well-raked normal drying, until reaching 14 to 15% humidity. At this humidity, it goes to the rotating drying. When it reaches 10.5 to 11% humidity it goes to the rest box. After 1 month it is cleaned and sent to the cooperative. Nippon Coffee Trading Co., Ltd.